NextProto offers aluminium extrusion manufacturing services for low volume production. We are also happy to help with 1 off extruded prototype if required. Available aluminum alloys for extruding are 6063, 6082, 6061 and 6463 etc. Complex shapes can be achieved. In some cases, EDM wire cutting and CNC milling processes can make aluminum profiles with reamed holes, threads. Our aluminium heatsinks and tube prototypes are similar to the parts that produced by extruding. A wide range of surface treatment can be added to the parts to achieve your final products. Typical mould tool price for a 30x25x20cm part is only USD 499. We can help to cut the profiles in specific length. Reamed holes, threads and mill shape can be added to the profiles by our CNC milling department. We can provide anodizing and many other surface treatment to the extruded parts. 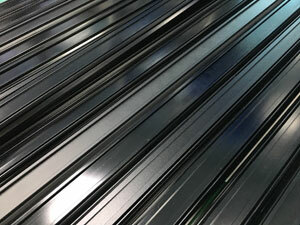 Various anodizing colours such as clear, black, blue, green and grey are available. NextProto has a good business relationship with some of the best aluminum extrusion manufacturers in China and we aim to offer you the best quality aluminium extruded parts in an affordable price.